A new book recounts the hostility Rajneesh faced from the people of Oregon when the Guru and his followers set up camp in a small community. Yet as a charismatic multinational corporation, the operations of the Rajneesh movement were by no means limited to the United States. On the contrary, the Oregon community was very much interrelated with and dependent upon a vast global network of Rajneesh centers. 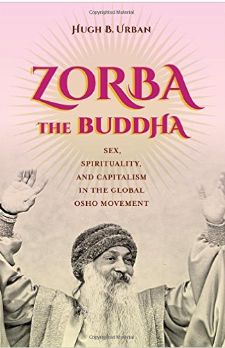 These included not only meditation centers and spiritual institutions but also seemingly “secular” enterprises, such as discotheques and restaurants. In all, some twenty corporations were created worldwide with twenty-eight bank accounts, including twelve in Switzerland. Flexible accumulation . . . rests on ﬂexibility with respect to labour processes, labour markets, products and patterns of consumption. It is characterized by the emergence of entirely new sectors of production, new ways of providing financial services, new markets and, above all, greatly intensified rates of commercial, technological and organizational innovation. 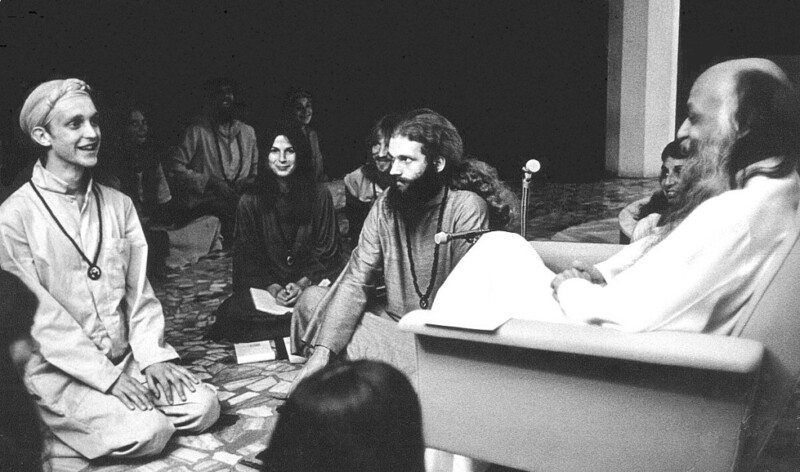 As a kind of “charismatic” multinational corporation with a wide array of ﬂuid, protean forms, the Rajneesh movement was in many ways not just a reﬂection but the epitome of ﬂexible accumulation, which Harvey sees as the condition of postmodernity. 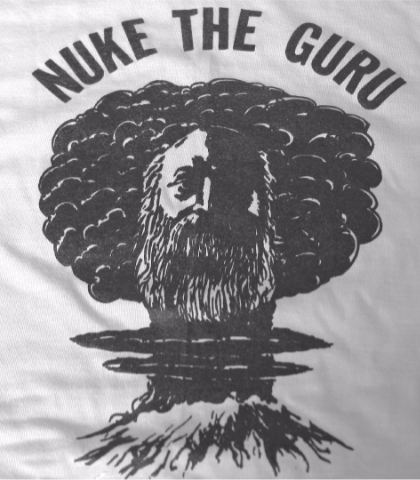 Although he had entered into a vow of silence in 1981, Rajneesh was in many ways the ﬂuid, protean center of this complex multinational corporation. 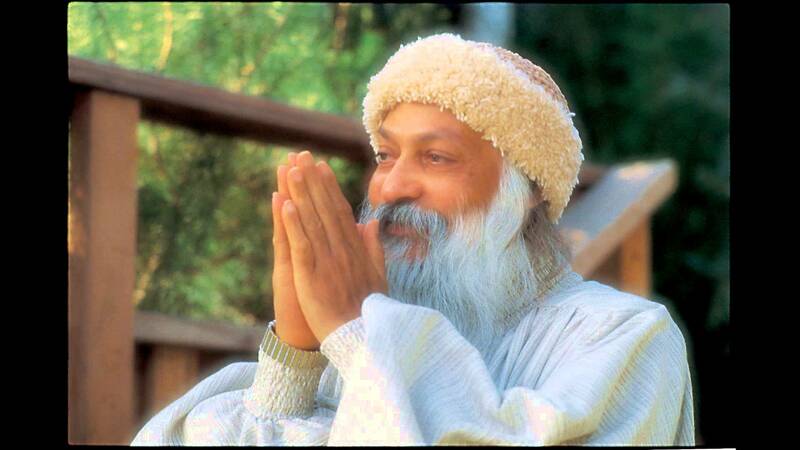 Today, most Americans probably remember Rajneesh primarily as the “Rolls-Royce Guru,” who made national headlines because of his massive ﬂeet of expensive cars and his daily “drive-bys” in which he drove his Rolls slowly along a road of cheering red-clad sannyasins at the ranch. Rajneesh had never made any secret of his procapitalist sentiments and his fondness for expensive objects of conspicuous consumption. People are sad, jealous, and thinking that Rolls Royces don’t fit with spirituality. I don’t see that there is any contradiction… In fact, sitting in a bullock cart it is very difficult to be meditative; a Rolls Royce is the best for spiritual growth. Beyond its function as a display of conspicuous consumption or parody, however, Rajneesh’s ﬂeet of cars appears to have served a more practical and serious purpose. As The Oregonian reported, the ownership of the cars was transferred from the Rajneesh Foundation International to the tax-exempt Rajneesh Modern Car Collection Trust in 1982. The trust served as a tax-exempt conduit for donations from wealthy sannyasins who “leased” the cars for as much as $6,000 a month; in 1982 alone, $498,784 ﬂowed into the Rajneesh Investment Corporation through this convenient conduit. From the very outset, the ranch ran into serious problems in its negotiations with the local community and government. While Rajneesh had imagined building a utopian community or “Buddhafield” of thousands of sannyasins, it turned out that the ranch was zoned for agricultural purposes with a maximum of just six residents allowed to live there. Thus when a government inspector arrived for a visit, the group had to use the cover story that it was a farming cooperative, and the numerous other sannyasins hanging around were mere visiting farmworkers and not permanent residents. Yet within two months of its establishment, over 200 sannyasins were living on the ranch, which started arousing complaints from the locals. A watchdog group called the 1000 Friends of Oregon, dedicated to land-use laws, advised the Rajneeshees that the non-farm-related uses of the land should be located in an already existing urban area with a designated urban growth boundary. In response, the Rajneeshees turned to the nearest city, the small retirement town of Antelope, and started buying up as much property as they could—which was quite a lot, since as much as 50% of the property was for sale. “They bought up everything available, even the store,” recalls Ritter. Their rapid push into Antelope, however, quickly alarmed the local residents, who were mostly either longtime residents or retirees and saw the Rajneeshees as bizarre, un-Christian hippies with a strange-looking guru who was launching an “invasion” of their town. On April 15, 1982, the city council held an election to “disincorporate” the city of Antelope, with the aim of stopping the Rajneeshees from taking over and using the city to further their plans. However, with the new population of sannyasins, the vote failed. And not long after, sannyasins were elected to three of the six seats on the city council and also won the mayor’s seat, with the write-in candidate Karuna. By 1984, now completely in charge of the city, the Rajneeshees voted to change its name from Antelope to Rajneesh, and even to change street names to those of famous philosophers and religious teachers, such as Gurdjieff Road, Ouspensky Road, Ramakrishna Street, and so on. They also took over the local school system—renamed the Rajneesh International Meditation University—as the Antelope schools became increasingly dominated by children of sannyasins. Initially, the Rajneeshees approached their new control of Antelope with a sense of humor and playfulness—for example, by passing a resolution that every city council meeting must include the telling of at least one joke. And sometimes this playfulness had a certain bite to it—for example, when they placed their garbage dump, called the Adolf Hitler Dump, next to Antelope’s community church. That cult, with their ways of coming in and buying up the land, have destroyed the old ways of life here in Oregon… and who knows what next? They could multiply like rabbits and take over the whole state. And they are not even Christian. They have these strange ideas and beliefs that are not pure and native Oregonian. Other ﬂyers enthusiastically urged local hunters to “get your Guru tags now” with the motto “Let’s Bhang Wan Today!” Meanwhile, gun sales in Oregon reportedly doubled. 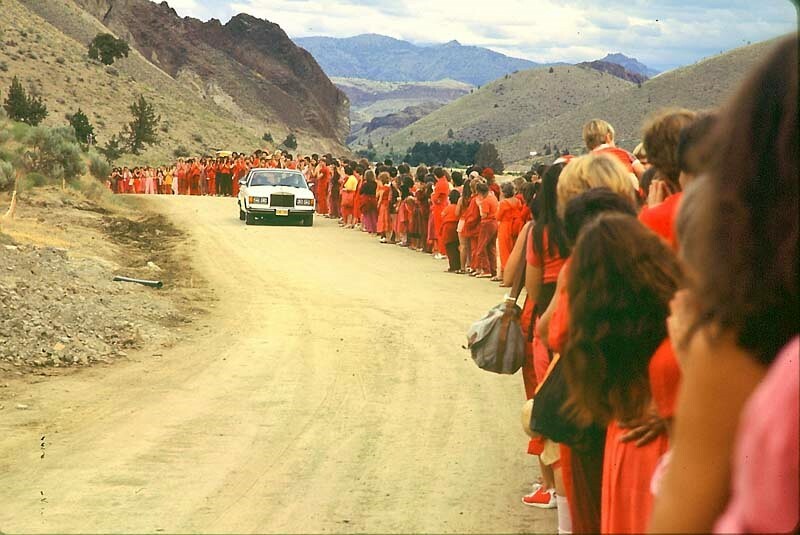 Not surprisingly, this helped fuel the Rajneeshees’ own growing paranoia and contributed to a kind of escalating, feedback loop of fear, suspicion, and aggressive rhetoric between Rajneeshpuram and the local community throughout the next few years. Excerpted from Zorba The Buddha, by Hugh Urban, Professor of Comparative Studies, Ohio State University. Published by University of California Press.